China is facing a growing strategic dilemma in the Indian Ocean. The balance of power in the Indian Ocean is changing, driven by the erosion of the longstanding US strategic predominance and the rise of China and India as major powers. Many analysts see a significant danger of an increasing strategic contest between China and India in the Indian Ocean as they jostle for influence and position in ways reminiscent of US-Soviet rivalry during the Cold War. China’s strategic relationship with the United States in the Indian Ocean is relatively stable. But China faces considerable long term geostrategic disadvantages in the Indian Ocean as compared with India and has few options available to mitigate those disadvantages. In a recent article in the Journal of the Indian Ocean Region, David Brewster explores these vulnerabilities and contrasts them with a common narrative in which a Chinese juggernaut is developing a threatening security presence in the region. China’s overwhelming strategic imperative in the Indian Ocean is the protection of its vital sea lines of communication (SLOCs) across the Indian Ocean. The most important of these SLOCs extends from the Strait of Hormuz around the Indian subcontinent into the Bay of Bengal and through the Straits of Malacca. China not only faces the ‘Malacca Dilemma’ in Southeast Asia but also a ‘Hormuz Dilemma’ in the Persian Gulf. Indeed, China’s SLOCs across the entire Indian Ocean are highly vulnerable to threats from state and non-state actors. China’s strategic vulnerability is a function of geography. The Indian Ocean is a largely enclosed ocean, with few entry points and vast distances between. This creates a strategic premium for those powers that are able to control the so-called ‘chokepoints’ and deny their rivals access to key ports. China currently has no ability to exert control over any of these chokepoints and nor has it any regular naval presence in any of the ports between. China’s vulnerability is reinforced by the scarcity of overland transport connections to the Indian Ocean. In strategic jargon, the Indian Ocean represents ‘exterior lines’ for China and ‘interior lines’ for India. The Indian subcontinent dominates the entire northern Indian Ocean, giving India considerable advantages, including short lines of communication to its own bases and resources. China has corresponding disadvantages, including the need to deploy its naval forces to the Indian Ocean through narrow and dangerous chokepoints and then cope with very uncertain logistical support when it arrives. The Indian Ocean is one area where India holds a clear military advantage over China. China is trying to mitigate its vulnerabilities in several ways: through building capabilities to project limited naval and air power into the Indian Ocean; through gaining greater access for its naval vessels to Indian Ocean ports; by developing overland transportation links to the Indian Ocean; and by developing closer economic and political relationships with key states in the region. But these can only partially mitigate China’s fundamental strategic disadvantages. China is pursuing a major naval expansion program and its theoretical naval capabilities now exceed India’s. But China’s ability to project naval power, particularly in the Indian Ocean, remains limited. Although the PLA Navy has made small anti-piracy deployments in the Arabian Sea since 2008, these deployments have not transformed it into a true blue water navy. China’s power in the Indian Ocean is constrained by the long distance from Chinese ports and air bases, the need to deploy through narrow chokepoints and the lack of support facilities. Some claim that that China is seeking to mitigate its vulnerabilities through the ‘String of Pearls’ strategy in which the PLA Navy will develop bases or gain access to facilities across the northern Indian Ocean. But there is considerable doubt whether ‘Pearls’ such as Gwadar (in Pakistan), Hambantota (in Sri Lanka) or Kyaukpyu (in Myanmar) would make good naval bases for China. Converting them into naval bases would require major investments and their exposed position would make them difficult to defend. Nor would a permanent Chinese naval presence at these ports prevent the interdiction of Chinese energy supplies. To properly mitigate its vulnerabilities in the Indian Ocean, China would need to be able to defend the entire length of its SLOCs from the Persian Gulf to the Malacca Straits. Others believe that China may instead pursue a ‘places not bases’ strategy, involving flexible arrangements that would give the Chinese military access to critical infrastructure in times of crisis. 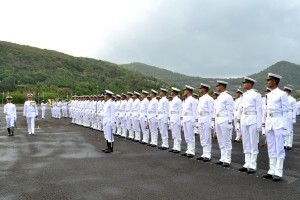 This would avoid the high political costs that would likely be associated with establishing a permanent naval presence in the Indian Ocean, but to be useful it would need to provide Beijing with reasonable certainty that facilities would be available to the PLA Navy in the event of an acute crisis or conflict. While Beijing’s new ‘Maritime Silk Route’ initiative could involve such arrangements, there is no evidence yet that this is the case. China is also seeking to mitigate its strategic vulnerability through developing new overland connections to the Indian Ocean through Myanmar and Pakistan. This includes pipelines between Kyaukpyu in Myanmar and China’s southern Yunnan province, and the planned BCIM project, that would involve building a road and manufacturing corridor from Kunming to Calcutta. China is also developing the China-Pakistan Economic Corridor between Gwadar and Kashgar in the western Chinese province of Xinjiang. These projects are part of Beijing’s ‘bridgehead strategy’ of turning Yunnan and Xinjiang provinces into gateways for economic engagement with the Indian Ocean. The projects, if completed, would likely have considerable implications for China’s role in the region. But these new connections would themselves be vulnerable to interdiction and the extent to which they would mitigate China’s overall strategic vulnerabilities is overstated. China has also had only limited success in building security relationships in the region. China’s economic influence is certainly growing throughout the Indian Ocean in line with its rise as a world economic power. China is a source of arms for some states in the region, while others sometime play the ‘China card’ to hedge or extract concessions. But there is as yet little indication that these relationships are being translated into substantive and enduring security relationships. Indeed, China has suffered several significant setbacks in recent years. Despite having a close political and economic relationship for many years, Myanmar is distancing itself from China and now is regarded as a significant political risk. Recent indications that Sri Lanka might grant China access to military facilities have also been reversed under Sri Lanka’s newly-elected government. Pakistan remains China’s principal partner and de facto ally in the region. While Pakistan has indicated its readiness to host Chinese naval facilities at the port of Gwadar, Beijing is moving cautiously in developing any military presence there. Overall, China’s ability to mitigate its fundamental strategic vulnerability in the Indian Ocean is limited. For the foreseeable future, China is likely to have only a very limited ability to project power into the Indian Ocean. The development of China’s putative ‘Pearls’ and tenuous overland transport links would do little to mitigate these vulnerabilities. Indeed, it is difficult to conceive how China could ultimately protect the entirety of its Indian Ocean SLOCs from India in the event of conflict between the two. There is little evidence that China could realistically gain a strategic advantage over India in the Indian Ocean in the foreseeable future, at least in the maritime realm. But it does not mean that there is not a very keen contest for influence between India and China in the Indian Ocean: for India to maintain its geostrategic advantages over China in that theatre, and for China to partially mitigate its disadvantages. This is currently being played out in a jostle for influence between India and China throughout the region. Brewester, David. 2015. “An Indian Ocean dilemma: Sino-Indian rivalry and China’s strategic vulnerability in the Indian Ocean”. Journal of the Indian Ocean Region, Online First View. Brewester, David. 2015. “Modi builds India’s sphere of influence in the Indian Ocean” Lowy Interpreter, 17 March 2015. Brewester, David. 2014. “Beyond the ‘String of Pearls’: is there really a Sino-Indian security dilemma in the Indian Ocean?” Journal of the Indian Ocean Region 10 (2): 133-149. Brewester, David. 2014. India’s Ocean: the Story of India’s bid for Regional Leadership. Routledge: New York. Garofana, John and Dew, Andrea J. 2013. Deep Currents and Rising Tides: The Indian Ocean and International Security. Georgetown University Press. Kaplan, Robert D. 2009. 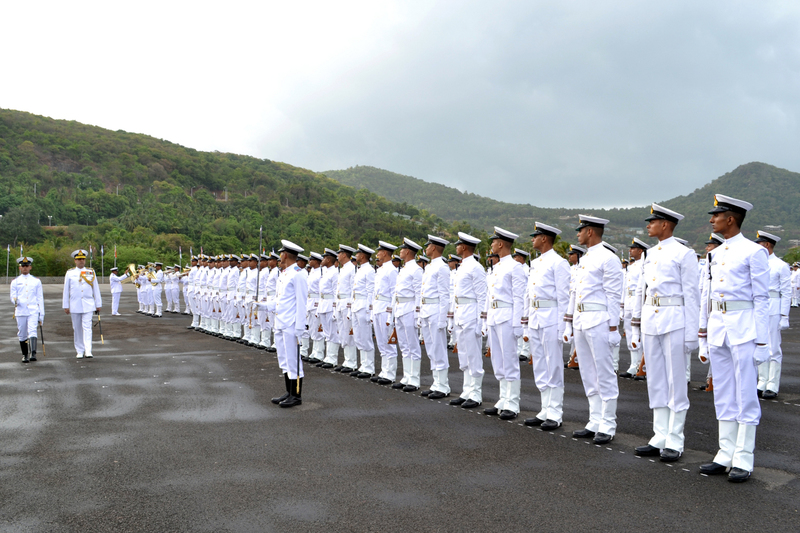 “Centre Stage for the Twenty-first Century: Power Plays in the Indian Ocean”. Foreign Affairs 88 (March/April): 16-32. David Brewster is a Visiting Fellow with the Strategic and Defence Studies Centre, Australian National University, where he works on Indian and Indian Ocean affairs. His most recent book is India’s Ocean: the story of India’s bid for regional leadership which explores India’s security relationships and strategic ambitions in the region. He can be contacted at dhbrewster@bigpond.com.